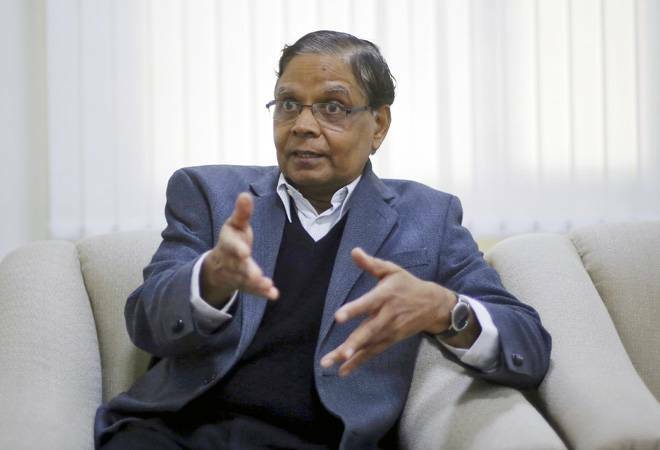 The Centre should stick to the fiscal deficit target for 2018-19 and continue with the reforms undertaken during the over four years of the Narendra Modi-led government, former Niti Aayog Vice Chairman Arvind Panagariya said Sunday. “Government should not shift its goal posts as far as fiscal deficit target is concerned. Fiscal consolidation has been a key achievement of the government and it has played a central role in macroeconomic stability that has characterised the economy during the last four years,” the eminent economist told PTI. “At this stage any reforms that require legislative change such as the Higher Education Commission Bill will have to wait till the elections. But reforms that can be done through changes in rules and regulations can still progress. Lateral entry into civil service is one such reform. Privatisation of listed PSUs and closure of sick PSUs are other such reforms,” Panagariya noted. Stating that “we have forgotten the lessons of our own experience and returned to the road we had left many years ago”, he said “let us hope we will soon do course correction”.